How do I survive long haul travels (and have no jet lag)? I used to (between my 20’s and early 40s) dread long haul travels because I would have terrible jet lag and it would take me days to come back to normal energy level. Jet lag is said to be worse going from West to East than the other way round, which means coming back to Asia from the West is worse. (For me it used to be bad both ways…in different ways!) Not to say my neck and back would go really stiff and out of alignment after a long flight too. These days (being much older too) I don’t dread long haul travels anymore! I sleep all the way going West or East. And I really look forward to every trip and the adventure ahead! So first off, how I survived 17 hours (14 + 3) on economy class flight to and back from the US recently (and in general) and how I usually maintain my health and performance with tight daily schedule during my overseas trips? We have a natural circadian clock that governs metabolic activities according to the position of the sun and the time of the day. While our brain (especially the pineal gland) is doing its best to adapt, crossing time zones takes a lot of energy to adapt. So I would make sure I support my body with these powerful adaptogens: Cedarwood Essential Oil (most affordable of all), Ningxia Red liquid supplement (most delicious), and Reishi Powder. Adaptogens are also essential for hormone balancing at my age and increasing stress resilience (that’s what “adaptogens” do). They raise metabolic baseline, unlike stimulants (coffee and tea) which exhaust the adrenals. With essential oils, I mostly put on the brain stem, my forehead/temples, around my ear rims and on my heart (so that they diffuse from body heat and I can inhale in). Oxygen content on the plane is thin and many essential oils especially Cedarwood, Frankincense and Peppermint are all effective in increasing oxygen level in the blood and brain. These three are registered as supplements in the US and non-irritating and I would have no problem picking a drop from my thumb and sticking it up the roof of my mouth if my intuition guides me to do so – it goes to the pineal gland in the brain quicker this way. I love the sharp clearing scent of authentic peppermint (not the chewing gum like scent in commercial product with a fake vanilla hint) when I need to wake up. #1 JetLag prevention diet for me – a high antioxidant diet with no dairy, caffeine, gluten, sugar especially before getting on a trip. 4. Preventing stiff muscles and structural misalignment – With long haul travels, I use a back support and neck pillow. And I always bring Deep Relief roll-on and Valor blend. If I am trying to fall asleep I would use Valor as it’s more calming of the two. It supports healthy structural alignment. But the anti-spasmodic Deep Relief blend never fails where there is a sniffness and pain. It promotes circulation and I’ve tested and tried it so many times. (Dee p Relief contains peppermint, clove, copaiba and wintergreen and ac carrier oil so you can apply direct on the skin.) Upon landing I would also rub Valor blend along my spine, and do DIY Raindrop on my feet and lower back to restore spinal alignment. (If I don’t have the Raindrop oils I would just use more Valor and Deep Relief.) I also would try to have a chiropractic adjustment or a Raindrop Therapy treatment the day before leaving. A healthy spine means a healthy nervous system and it’s a priority for me. 5. 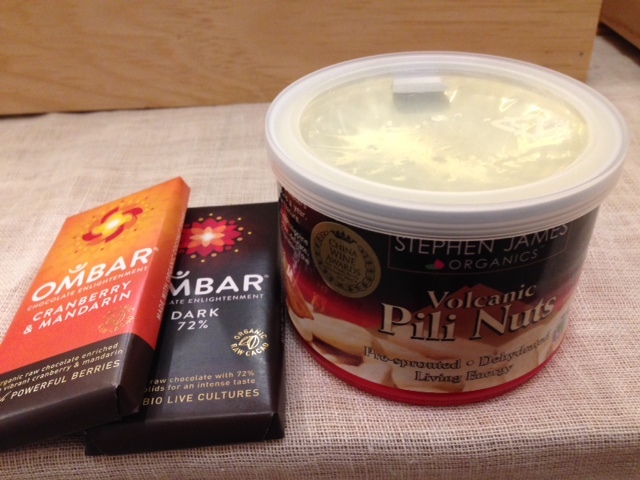 Healthy snacks – Instead of instant noodles or other unhealthy snacks on the plane, I prefer to pack my own snacks, such as: Raw chocolate bars such as Ombar (low GI, raw and yum…). Unsalted nuts and fresh fruits such as apples are always nice to have on hand. I would rub Young Living Lemon oil on the surface of apples to clean the wax off if it’s not organic. 6. Hydration, and preventing water retention – Not drinking water will not really prevent that heavy feeling after a long haul flight. (I definitely would like to be able to put my feet back into my shoes with no difficulty!) Avoiding alcohol and caffeinated drinks, and making sure I get up and stretch definitely works much better in preventing that heavy feeling after a long haul flight. Throughout the flight, I would make sure I drink water regularly. I usually enhance my drinking water with Young Living Lemon essential oil. 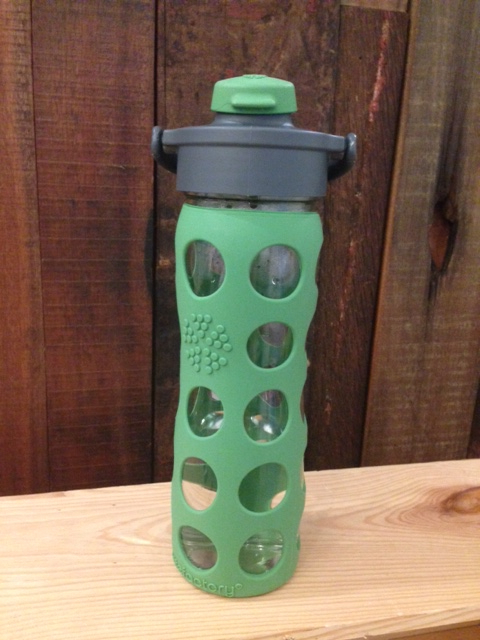 (About 1 drop for every 6 to 8oz of water.) 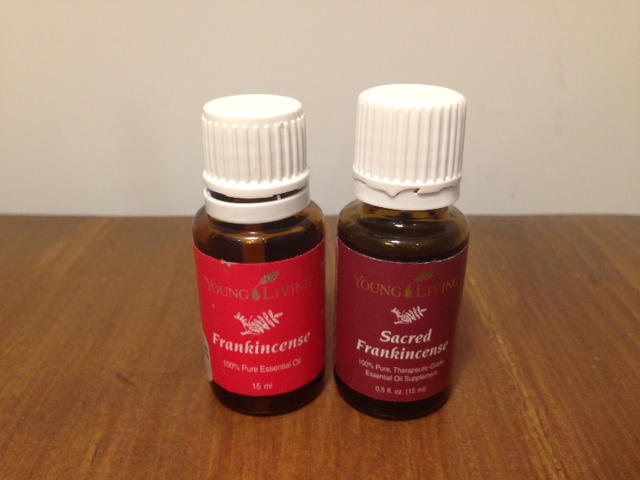 This very economic oil (and citrus oils in general) supports immunity, fat digestion and lymphatic detox. Citrus oils (and many essential oils) break down fat and petroleum-based chemicals (which is what you want in your body) and would displace plastic molecules if you use a plastic water bottle. So I would use a glass bottle (protected by silicon as shown). Remembering I mentioned the Raindrop set of oils? Valor, Cypress and Peppermint oils are part of the Raindrop kit. 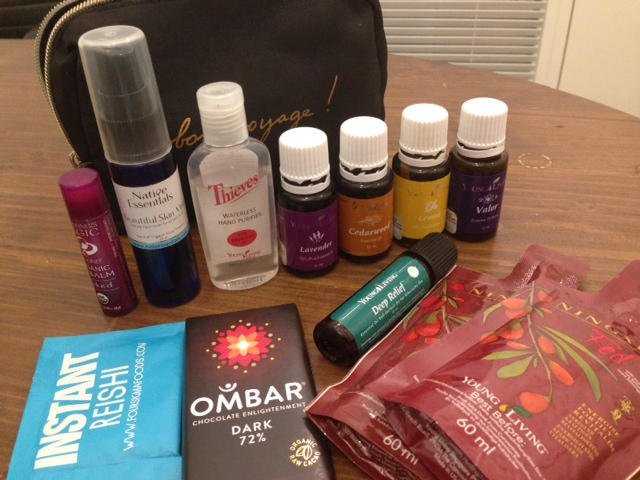 If bringing the whole Raindrop set of oils seem too crazy to you (!) at least I would bring Cypress for reducing water retention and supporting circulation. 9. Much better alternatives to coffee or tea for energy – After arrival, I would use Reishi powder and Young Living Lavender to help me sleep well if necessary. (For me DIY Raindrop on arrival would have worked its tricks too.) In the morning I would make my breakfast superfood smoothie with my travel blender to start my day (I won’t compromise this habit I have whether I am travelling or not), and I would use Ningxia Red mixed with Ningxia Nitro (containing Korean ginseng and many adrenal supporting plant extracts) in water and lemon oil to ensure I have great mental clarity, mood and energy. 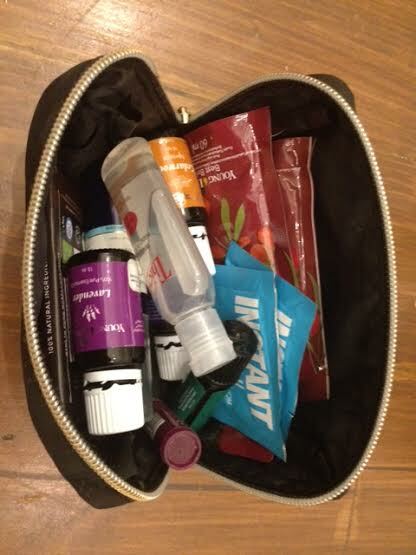 Sometimes I just open a Ningxia Red sachet or Ningxia Nitro tube when I am on the go. I take these usually in between meals. The Ningxia Nitro is like my “triple strength” jet lag buster…compared to Ningxia Red…. Taking them together tastes great. 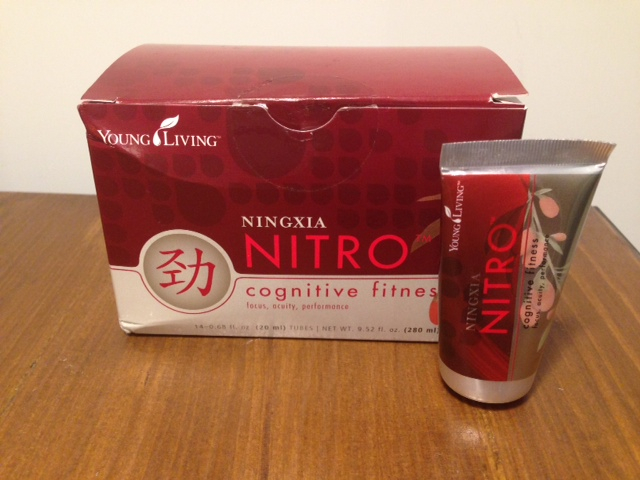 (I would not take Ningxia Nitro at night, unless I need to stay up and work late!) Unlike caffeine, adaptogens do not give you the “crash”. 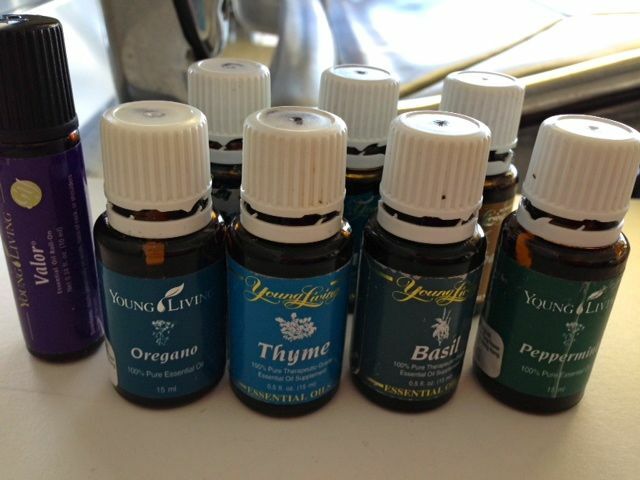 Note: The essential oils that I am using are Young Living essential oils only (and not every one is suitable for ingestion). They have their own farms and are open to anyone visiting them. I am sure if one has direct access to the growers and knows for sure of the pure AND therapeutic quality (two different things) they are free to do what they feel comfortable. Since I don’t have that access, like most people including most “aromatherapists”, I have only chosen to do what I do after thorough research, personal experience and learning from other long-term users’ experience. For Pitfalls and Potentials of using essential oils, see my article here >>> For more elaboration of the above, and a practical introduction to the world of natural medicine with aromatic plant essences, you are recommended to come to one of our upcoming “Self Care with Essential Oils” experiential sessions. Or check this out as a start. Other products mentioned are mostly available from the i-Detox store. And I hope you can find them near you if you are not located in Hong Kong. (We do ship in the region.) I got my glass bottle from Wholefoods in the US. Hope the above solutions are helpful! Wherever you are in the world now, be well and stay safe! Great post Anita! Keep up the good work! The content on this blog is intended as sharing of personal opinions from Anita Cheung and is not intended to replace medical advice. You are encouraged to make your healthcare decisions with your full responsibility.